We may receive compensation for products we feature on our website. What does it mean to dream of a stop sign? If you happen to notice a stop sign in your dreams this could have several different meanings. Learning about the significance of a stop sign symbol can definitely help you understand the meaning of this dream in your life! What Does it Mean to Dream of a Stop Sign? This may be an indicator that you need to stop your current activity in waking life and take time to look around before proceeding. Is there something you need to literally stop doing in your life? Most stop signs are also the color red. Red can often be a color that means warning or an abuse of power. Red is also the color of the root chakra. Learning about the meanings of color symbols can be helpful to understand why the red color of a stop sign is important. This suggests that there is some area of your life that you need to be patient and wait for. 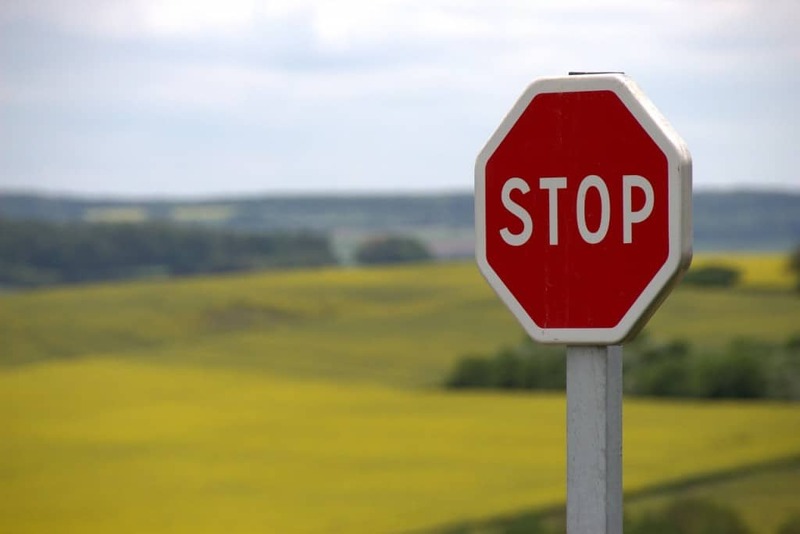 If you stop at the stop sign and then resume driving again you can be sure you have a relatively short wait for the things you currently desire. If you do not proceed forward or you are stopped for what seems like an unusually long time this may mean that you must take the time to contemplate your next moves or that there are things standing in the way of you progressing. By identifying in waking life the obstacles that are prohibiting you from moving forward and recognizing which things you have control over, you can begin to more effectively take the steps you need to work toward progressing in your life. This is a sign that you are taking life too fast, not obeying the rules set before you and that you are not taking the time to cautiously and mindfully navigate on your life path. This is a wake up call to slow down in order to open yourself up to greater awareness and greater likelihood that you will experience otherwise missed opportunities. Driving a Vehicle Dream Meaning: Were you driving in the dream where you saw a stop sign? Cars and other vehicles are often a symbol relating to control. Fuel Dream Symbol & Gas Station Dream Meaning: If you are dreaming about a stop sign and needing to get gasoline or stop at a gas station, this could mean you need a break and need to recharge. City Dream Meaning: Did you see a stop sign in a city scene? If your dream took place in a city, this could also provide additional meaning. Have you recently had a dream about a stop sign? We would love to hear about it. Please share in the comments below! My love one who passed in this dream wanted a stop sign. Can yu tell me what does that mean? JourneyIntoDreams.com is your resource to understanding what your dreams mean. Since dreams are often highly personal in nature, we truly believe you are the best interpreter of your dreams and provide the tools to help you unlock the meaning of your dreams! Copyright © 2019 · JourneyIntoDreams.com. All Rights Reserved.